No-Rank Zendo. (http://www.norankzendo.org) Service begins at 7:00 PM. Beginner instruction is available every night. Please enter through the downstairs door. If entering through the upstairs, quietly and find a cushion for meditation. Chant cards are provided. We'll follow with two sitting periods broken with a short period of walking meditation. 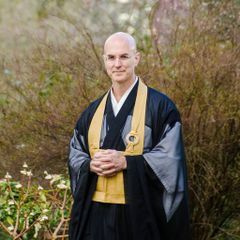 After the zazen period there will be a brief talk by Rinzan Osho, a sharing circle on a selected topic, or other Dharma discussion. Please join us. No prior preparation is necessary. Feel free to contact [masked] with any questions.